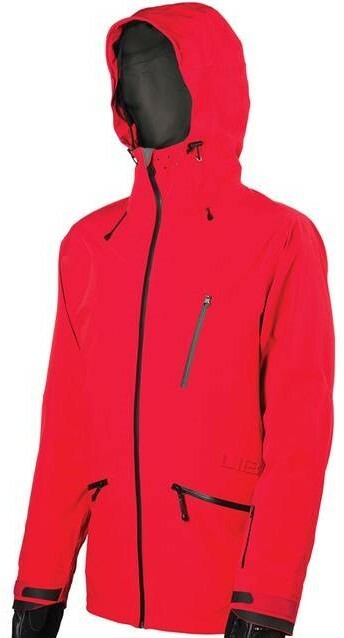 The Lib-Tech Strait Science Jacket is a really strong shell for those that see a lot of weather and want something that feels like a soft shell. 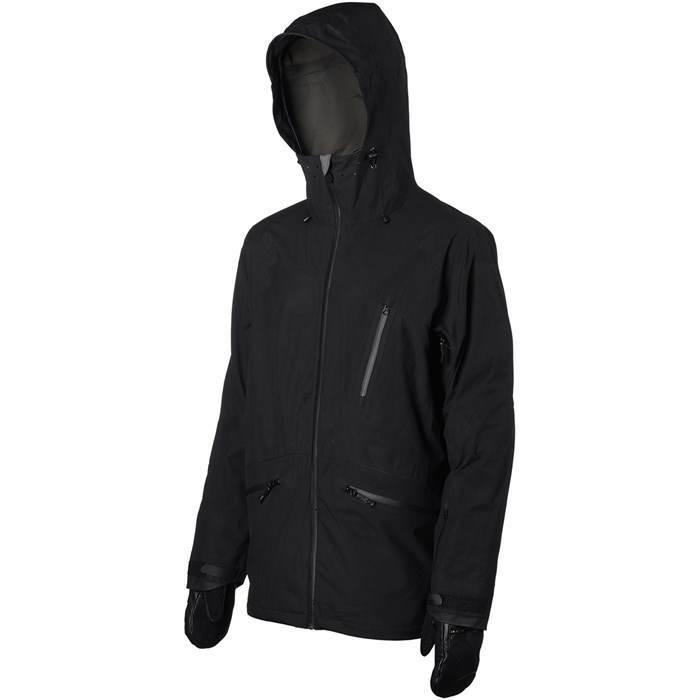 It’s definitely made for those that see more backcountry but it is also an outstanding resort jacket as well. Fit: Really solid fit for the average build and I feel this jacket is flattering with my build. It’s not super tight like many super technical shells and there is room for layering underneath. Construction: Feels like a soft shell and it’s really well made. The only issue with the construction is the media pocket is small on the inside and wont fit the larger phones most have these days like the larger iPhone, S6 or S6 Active Everything else is well made and has a great feel to it. There is even a pocket that goes the length of the back to put your skins or if you ride the mountain like we do you can throw a layer you don’t want in there if it warms up. Not a fan of the wrist gaiters but that’s just me. Most like em. Hood: Such a great hood for those that use your hood a lot and want protection from the elements. Contoured hoods are the best for this even though they don’t fold back all pretty like articulating hoods do. Insulation/Warmth: Warmer than most shells but definitely not a jacket you get for stand a lone warmth. It’s made to be the wind and water barrier and then layers are underneath. Waterproofing: 45k waterproofing is above most jackets out there these days. Most Gore-Tex jackets are in the 30k range. Lib-Tech does say that the jacket when stretched can get down to a minimum of 20k which put’s an asterisk next to the 45k rating but that’s a nice low. Breathability: 25k breathability is in the elite tier as well which is above most Gore-Tex membranes and on par with some 37.5 jackets. Overall: This is a jacket that fit’s the average build very well, is very waterproof/breathable and has a nice look for a technical shell. If you are ok with the media pocket issues then this is a great choice. We try to get as many images of the Lib Tech Strait Science, but forgive us if they're not all there.